Christian Pulisic spent this season with Borussia Dortmund tearing it up on the right flank and establishing himself as a vital cog of one of the best offenses in the world. The 18-year-old had four goals and 10 assists for the club in the Bundesliga and Champions League, and put forth the best season by an American soccer player in Europe. He’ll soon have more company in the Bundesliga. Schalke are one of Germany’s best clubs, and they had qualified for European soccer seven years in a row, before a disappointing campaign this year (thanks to the sale of Leroy Sane, among others) will leave them finishing in the middle of the table. They’ll finish the league season out against Ingolstadt and look to the future while doing so. 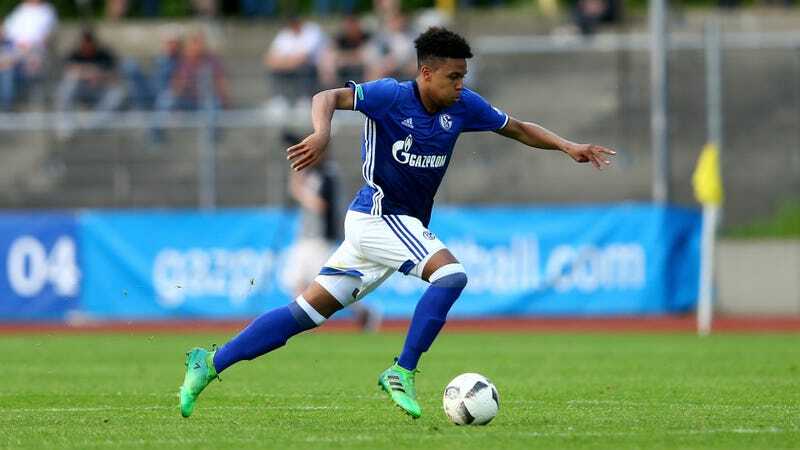 Many teams use meaningless end of season games to test out youngsters, and Schalke promoted three promising teenagers to the squad for the match. Two of them, Haji Wright and Weston McKennie, are American internationals who joined Schalke within the last year. “They belong in the first-team next year,” he said. “They deserve it. Their presence also means we have more options for our final game of the season against Ingolstadt. We already knew McKennie was ready for the Bundesliga. With Haji Wright, we weren’t totally convinced in the winter, but he has progressed a lot in the second half of the season. Schalke doesn’t have the pedigree of Dortmund, but they are an elite club with a long track record of developing superstars, such as Mesut Özil, Manuel Neuer, and Julian Draxler. It seems as if at least one of Schalke’s trio of young Americans will make their debut tomorrow, and perhaps next year they’ll get to duel with the Wonderteen.